Atlantic City’s original convention center, left, stands next to Donald Trump’s first casino, the Trump Plaza. Closed in 2014, it will soon be demolished. 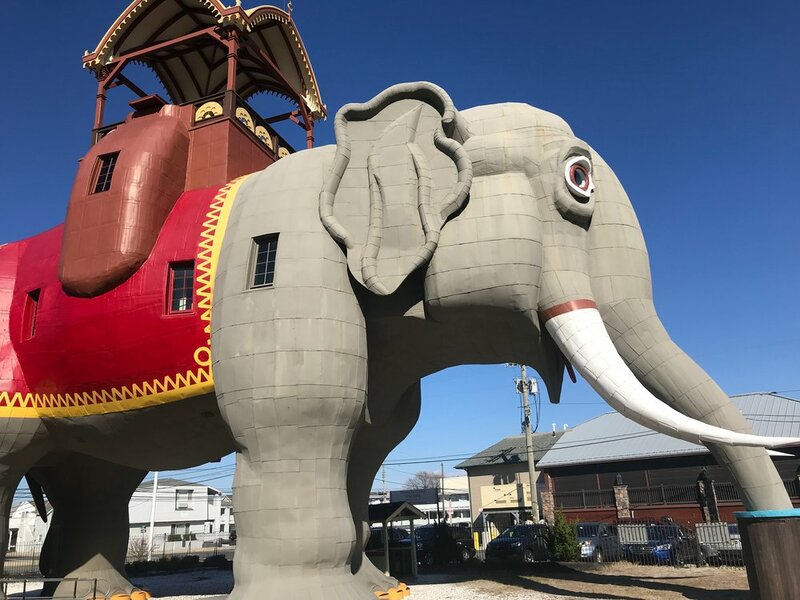 Lucy, the World’s Largest Elephant, was built in 1881 to draw vacationers to the Jersey Shore. Preservationists rescued and restored Lucy in the 1970s. A statue of Miss America decorates the plaza in front of Boardwalk Hall. The pageant has been a marketing bonanza for Atlantic City since 1921.